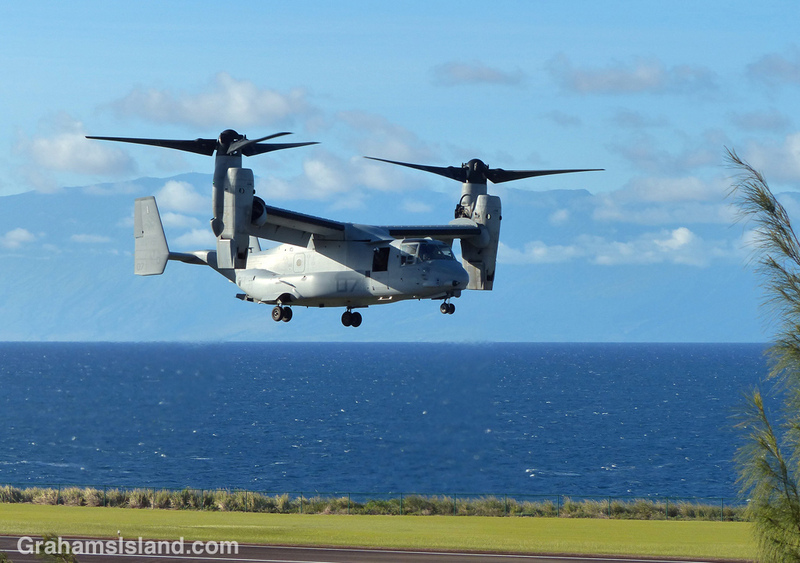 Returning from a walk around Upolu Airport, I was startled by a loud thumping noise close by. Through the trees I saw this peculiar-looking aircraft touching down. 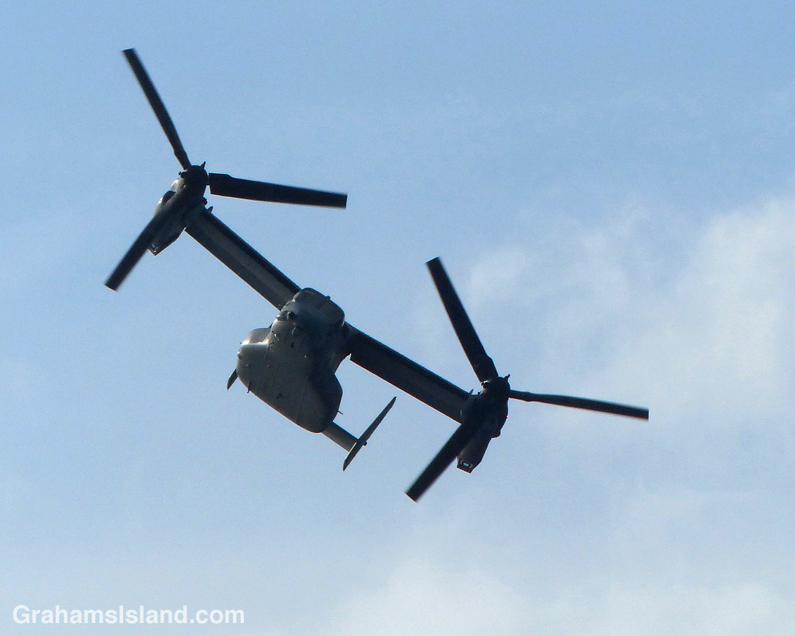 The plane is a V-22 Osprey, a tiltrotor aircraft used by the military, in this case, the U.S. Marine Corps. The plane made several loops, out over ʻAlenuihāhā Channel and back around to the airport to land, then do it all over again. It was actually quite fascinating to see the engines rotate from horizontal to vertical while in flight. Eventually, the plane headed out over the channel and kept going, probably back to its base on Oahu.